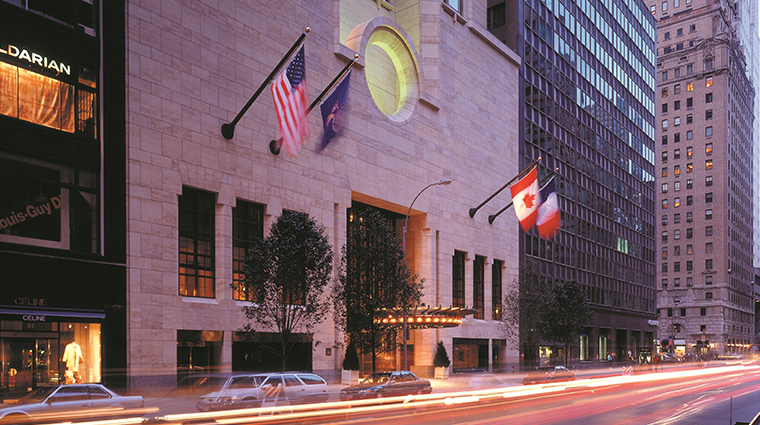 L. Raphael Beauty Spa reflects Forbes Travel Guide Five-Star Four Seasons Hotel New York’s style with unobtrusive-yet-attentive staff and a penchant for luxurious details. The space beneath the hotel lobby delivers quiet and relaxation. The distinguished Swiss skincare brand partnered with the luxury property in 2014, making this its first branded spa to hit the United States. It has since become the go-to destination for oxygen-infused, anti-aging treatments and a restful oasis for global jetsetters. The modish design includes a palette of light creams and dark woods, paired with the brand’s signature orange hue. 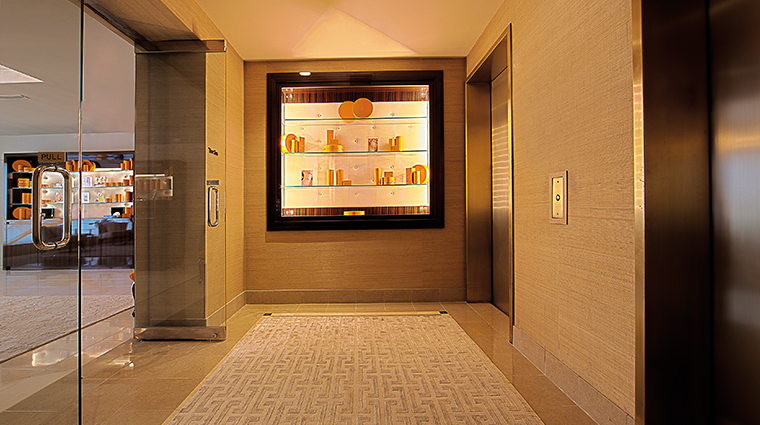 Locker rooms are primped in clean neutrals and feature intimate steam rooms, saunas and whirlpools. The overall feel is serene and calm, melting your cares away while taking you far from the hustle and bustle of the city, if only for a little while. L. Raphael Beauty Spa is in the heart of Manhattan, within walking distance to luxury shopping, fine dining and Central Park. A simple, sleek design paired with knowledgeable, never-pushy staff gives off a stylish but unpretentious vibe. A sparkling chandelier at the main entrance adds a bit of glam while the large neutral-toned area rug and chairs topped with fuzzy faux fur pillows create a warm and inviting presence. A light clean scent with soft floral notes helps ease you into relaxation upon arrival. The subterranean spa opts for soft mood lighting in lieu of windows, making the space feel sacred and tranquil, away from the buzz of the city. In addition to an array of muscle-melting massages and luxe body treatments, the Midtown spa specializes in anti-aging facials featuring oxygen infusions, ultrasound and ultra-gravity therapies that reach beneath the skin’s surface for long-lasting results. Be sure to book your Oxy-Peel treatment in advance — the intimate 10-room spa books up quickly. Alongside a menu of beauty services (including hair, nail and makeup application), L. Raphael offers tailored programs to help you achieve your ideal look. Work one-on-one with a professional aesthetician to create a personalized beauty program for your individual skincare needs, be it anti-aging, slimming or wellness. 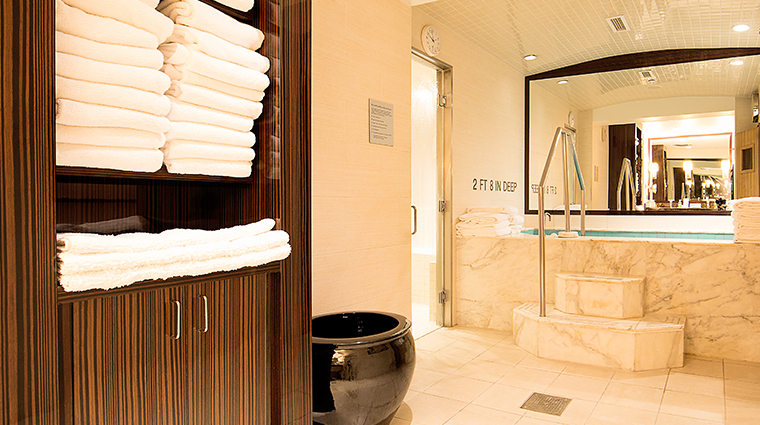 Leave yourself some time pre- or post-treatment to make the rounds in the Manhattan spa’s steam rooms, sauna and whirlpools. The spa menu takes both a medical and holistic approach, with advanced treatments to rejuvenate the mind and body. 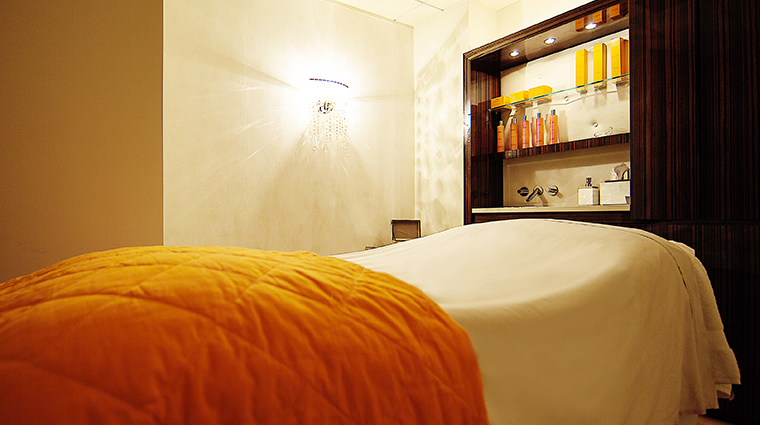 The Anti-Jet Lag & Energy Restoring Massage is ideal for travel-weary bodies. The combination of a soothing carrot seed oil massage with cool bursts of oxygen helps you unwind, but also energizes while draining the lymphatic system. After a late night out, try the Perfection Anti-Aging Facial. It’s packed with omega-3 and vitamins A, C and E to revive tired skin and reverse signs of aging. Get tight, firm skin without going under the knife. The Secrets of the Dead Sea treatment features a mineral-rich salt and cherry blossom scrub, a stint under a slimming iso-thermal blanket and a 30-minute massage with the spa’s body-toning oil to tighten and detoxify your body. For busy travelers with only an hour to spare, the Woman On The Go does it all in your time frame. Enjoy a manicure, shampoo with blowdry, exfoliation, mask and moisturizer, topped off with a fresh juice to help you detoxify while on the run. The 4,500-square-foot luxury spa offers 10 treatment rooms, including two couple’s suites, as well as steam, sauna and whirlpool facilities in both the men’s and women’s locker rooms. Work out at your own pace or with a personal trainer at the fully equipped fitness center with Pilates and yoga instruction available upon request. 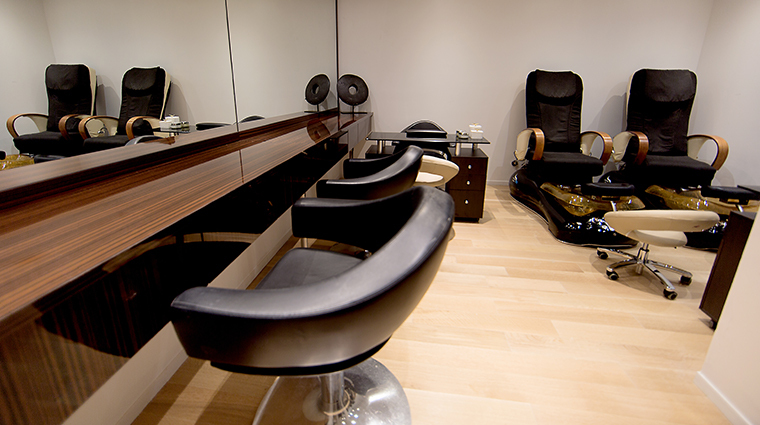 Get pampered for a special night out in the city at the full-service salon with professional hair services, waxing treatments, makeup application and two nail stations for a mani/pedi. Lockers include a plush white robe and soft slippers to wear during your visit, and are locked with an electronic key code to keep items safe. A soft cloth doorway leads into the locker room from the relaxation lounge, preventing any unwanted door slamming. Allot some extra time during your visit to sip on hot tea or chilled cucumber water in the relaxation area before your treatment begins.